RAM Orthotic & Prosthetic Lab is dedicated to providing comprehensive orthotic and prosthetic care that enables people to live a life that they want, a life without limitations. Here at RAM Orthotic & Prosthetic Lab, our patients are more to us than an appointment. We look at each case individually, and provide specific, custom solutions. We want the best for everyone that come through our door. A support, brace, or splint used to support, align, prevent, or correct the function of movable parts of the body. Shoe inserts are orthotics that are intended to correct an abnormal or irregular walking pattern. Receiving a prosthetic or an orthotic and regaining a level of independence is an important moment. Once the device is received, we will continue to assist in the rehabilitation process of wearing and using a new prosthetic and or orthotic device. A prosthesis and or orthosis is an important new part of the body. Each one is specifically customized to the anatomy of your body, and designed to enhance your independence, activity level, and mobility for a meaningful, functional, productive life style. 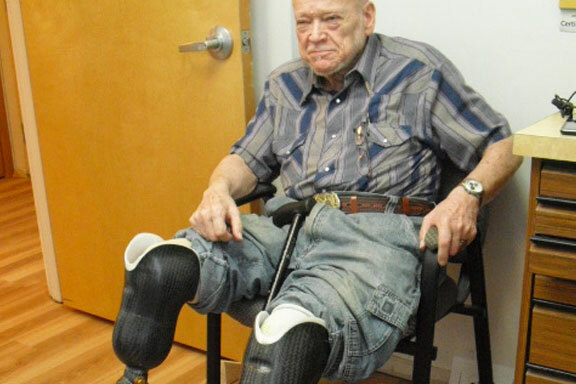 Do your patients need Prosthetics or Orthotics? We specialize in providing and fitting Cervical Collars, Back Supports, Knee Orthotics, Ankle/Foot Orthotics, and Prosthetic care. Find out how RAM can help your patients recapture their quality of life. We understand the trust it takes to refer your patients to another specialist. At RAM, we work extremely hard at making them feel as important and cared for as if they were in your own office. RAM has been providing custom devices for over 15 years, with continuity of care from the intial appointment to future fittings and adjustments.